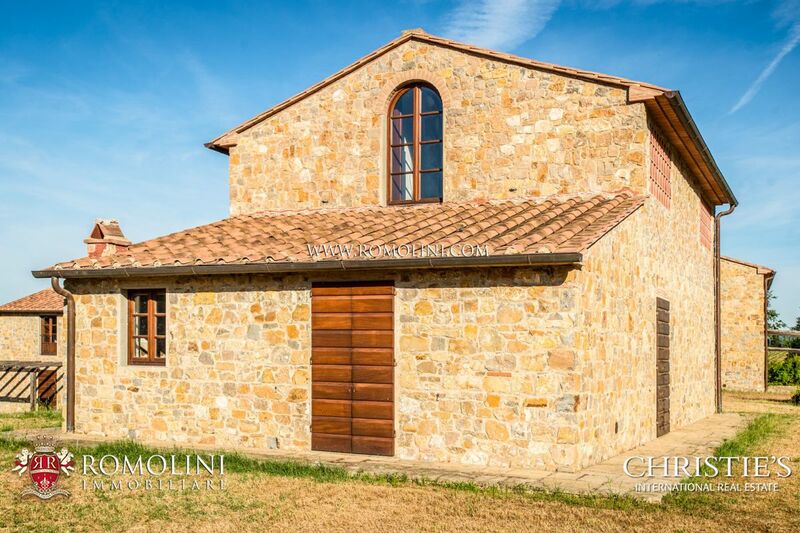 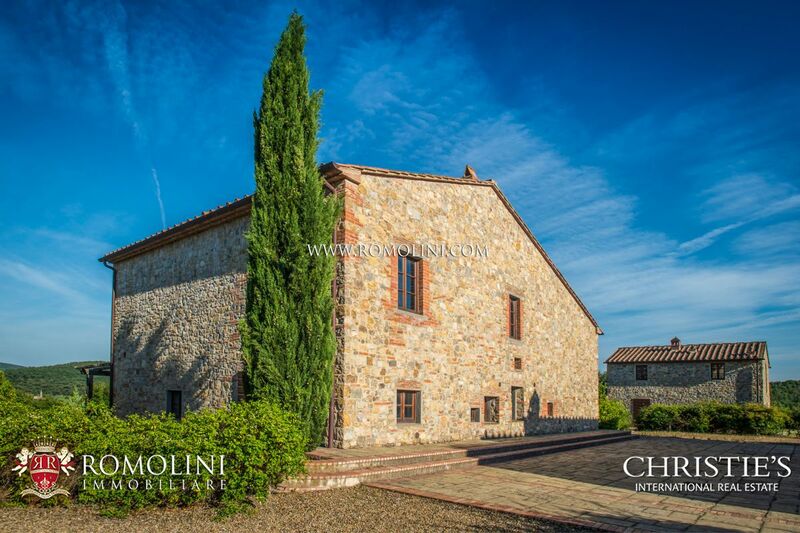 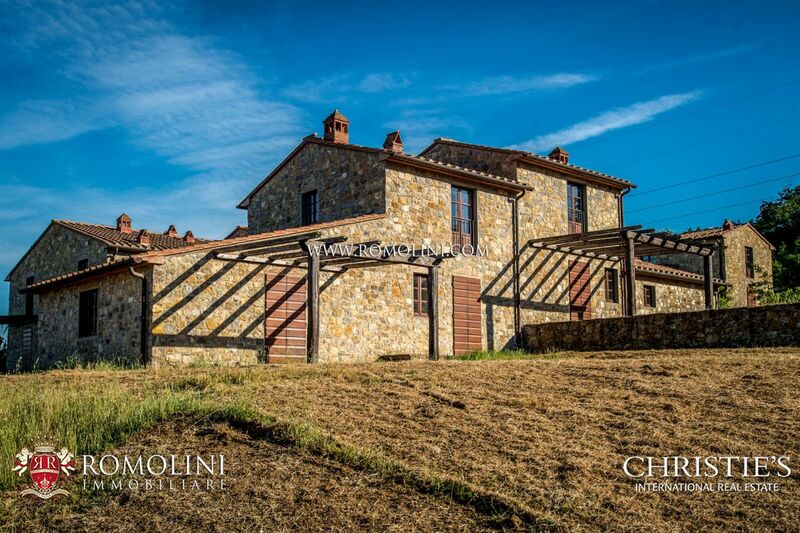 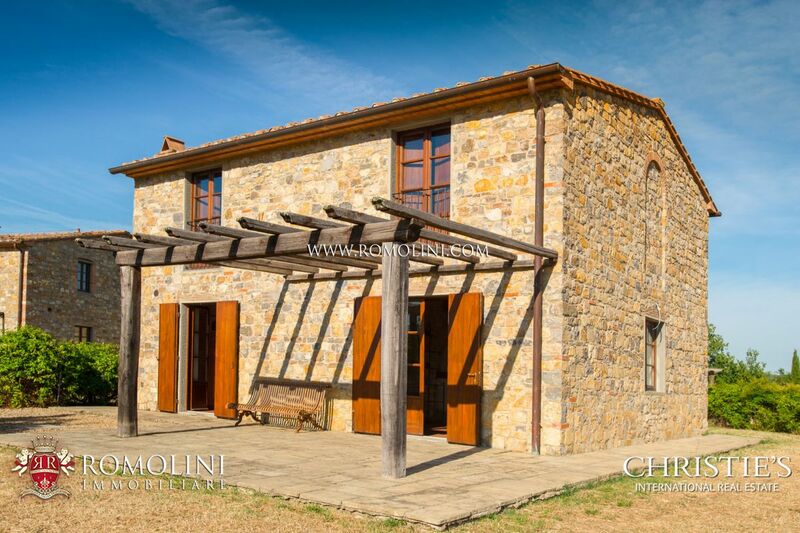 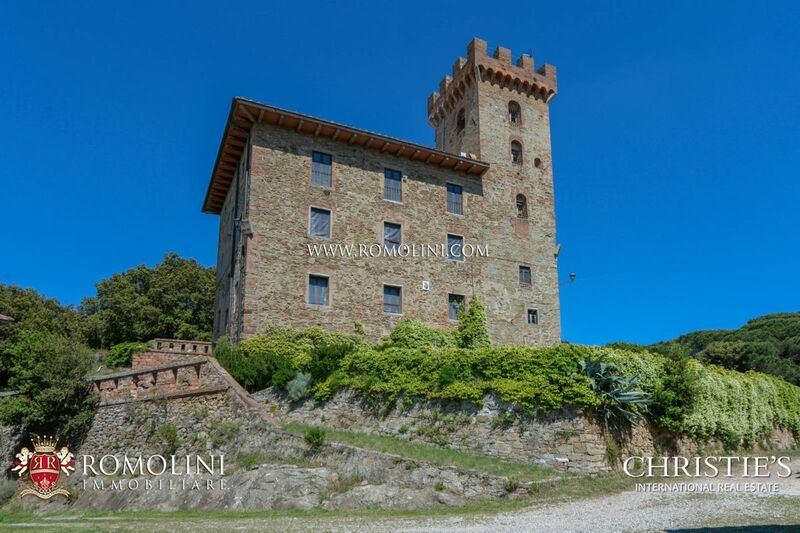 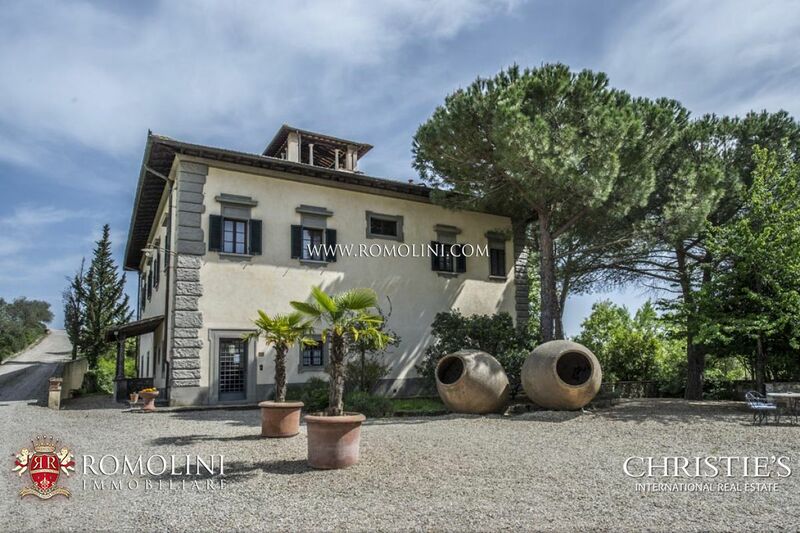 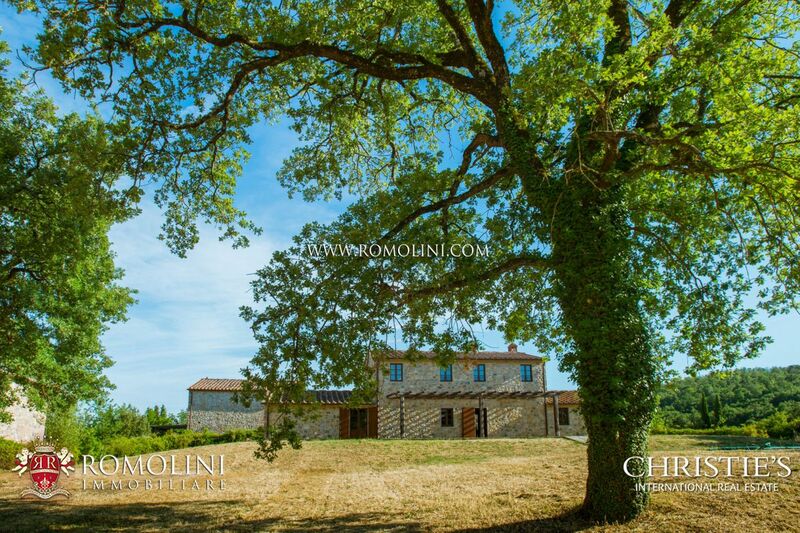 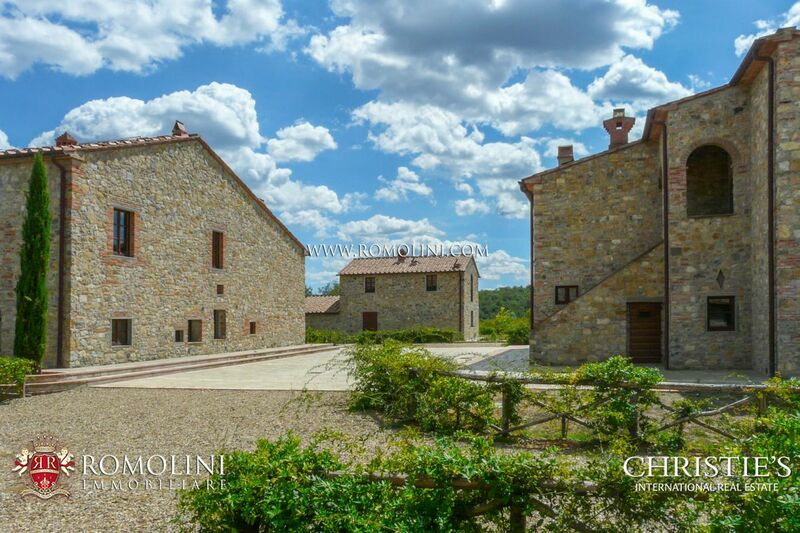 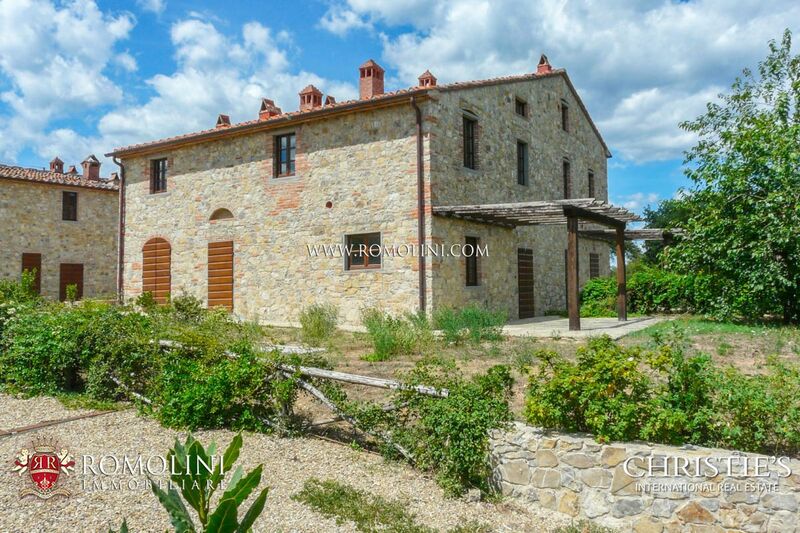 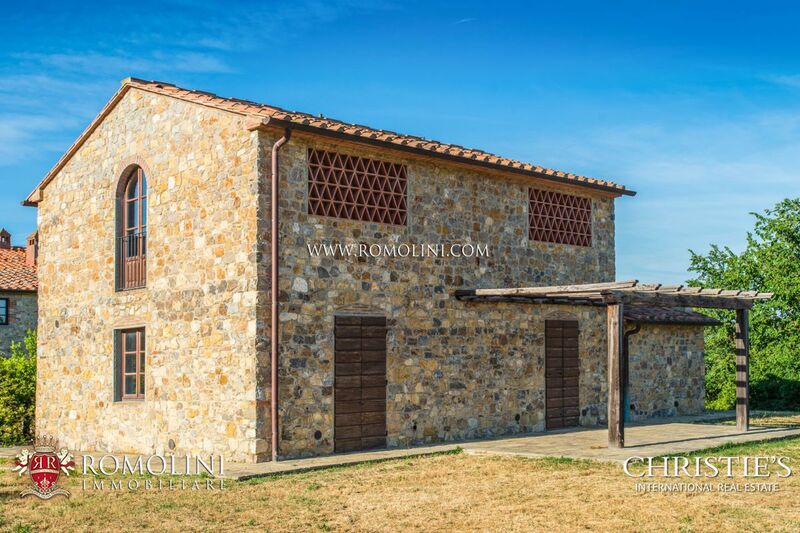 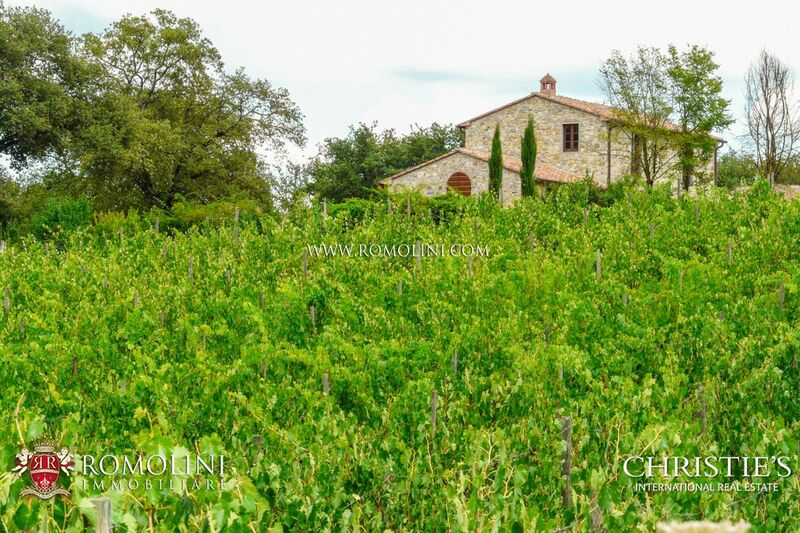 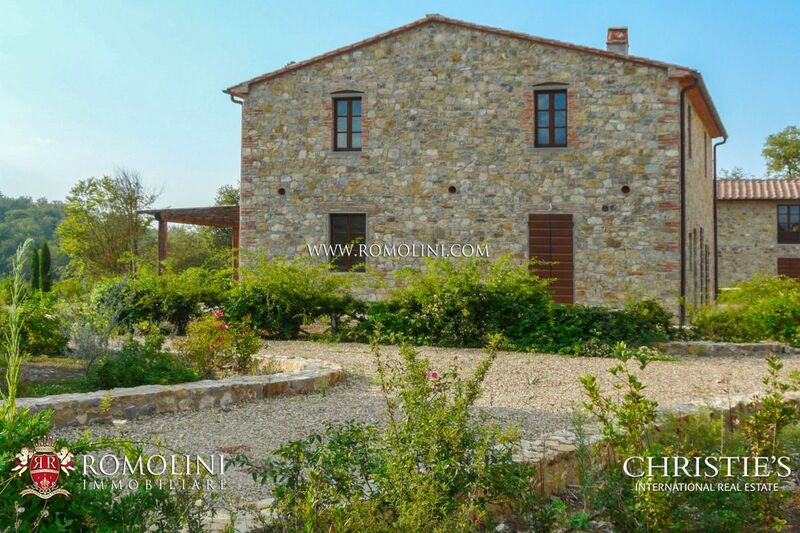 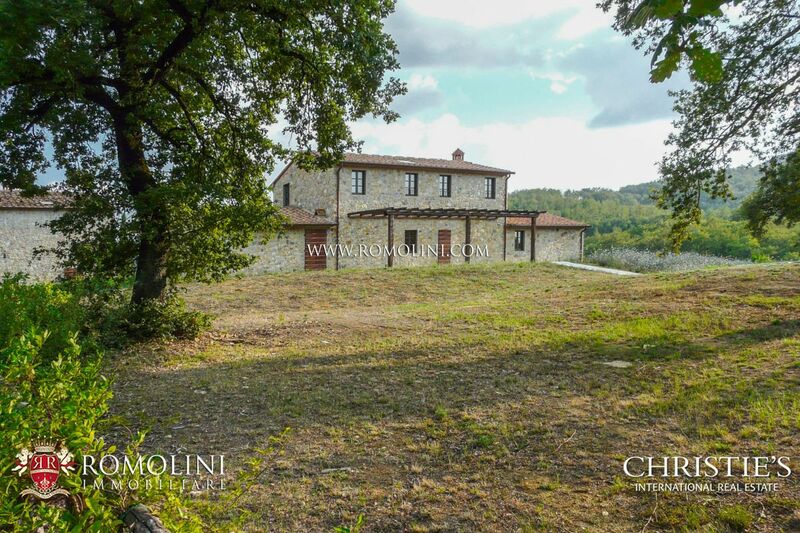 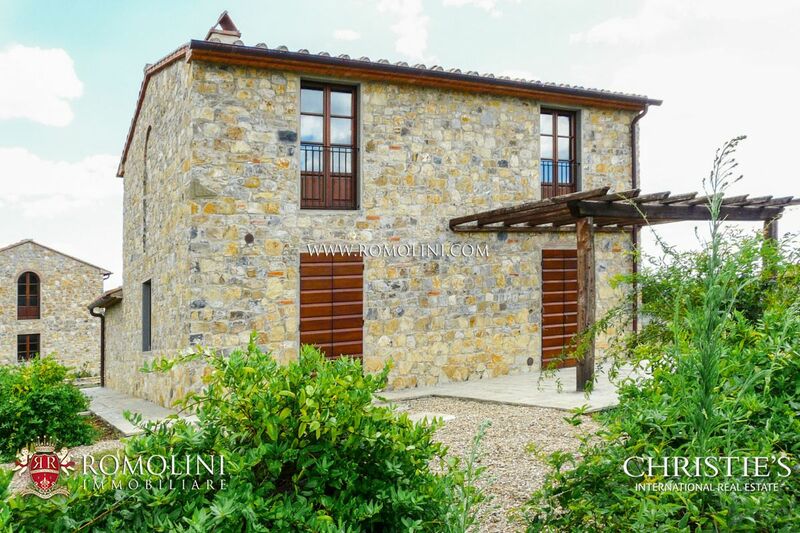 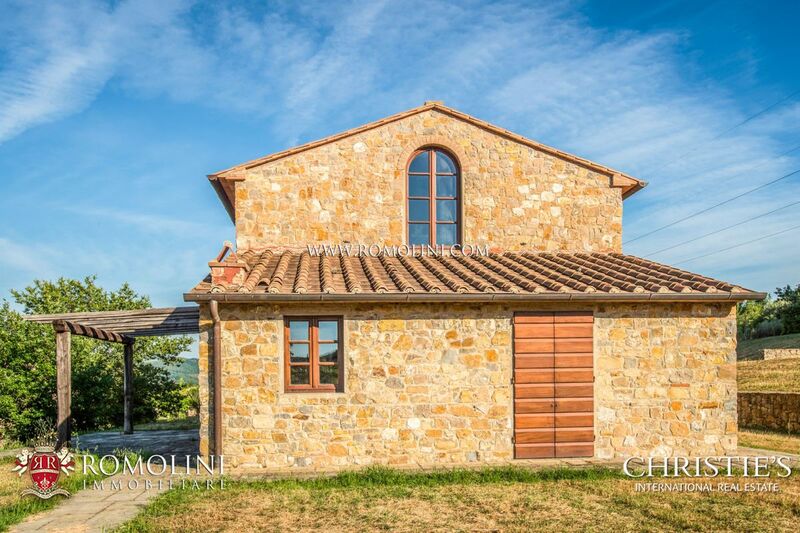 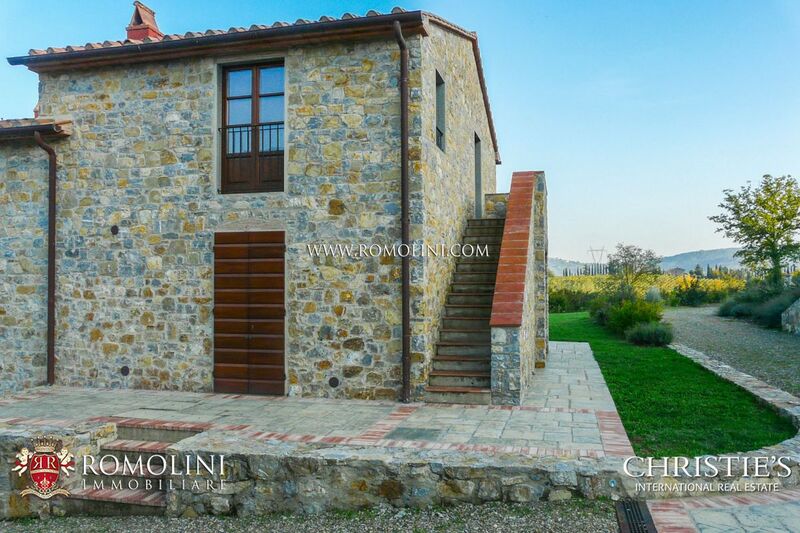 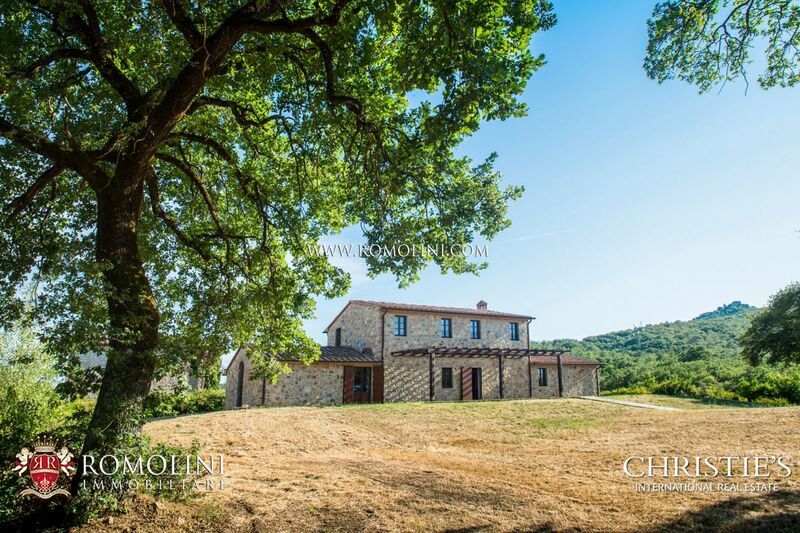 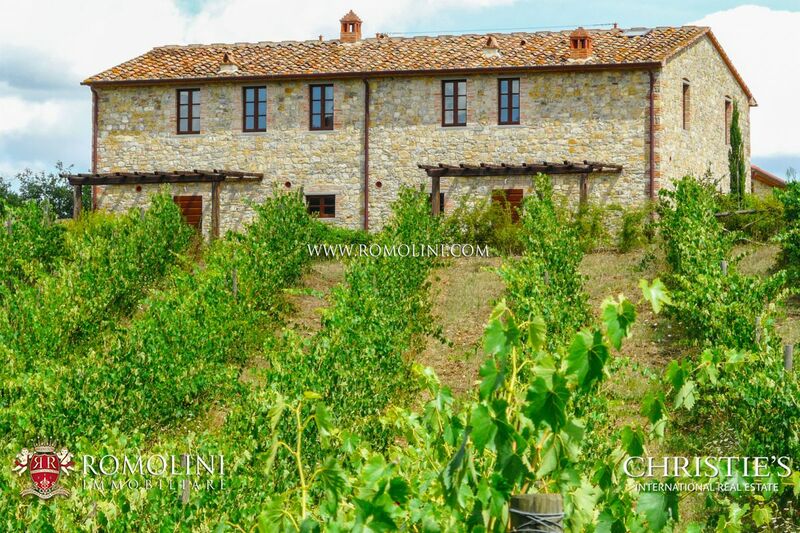 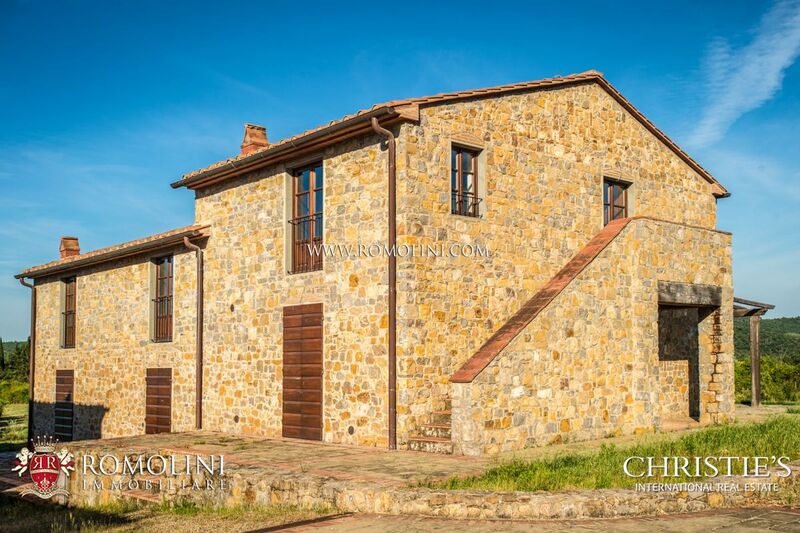 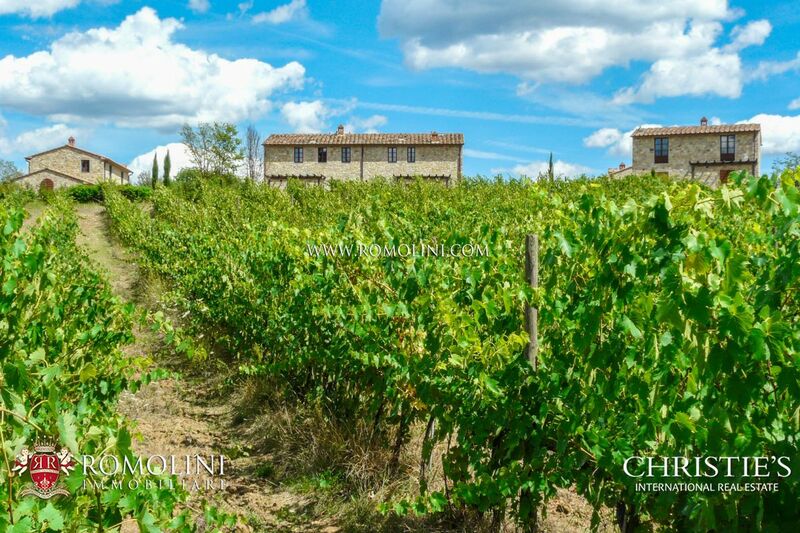 On the hills of the Tuscan countryside, in the province of Arezzo, beautiful 5-hectare estate with two hamlets used as Agriturismo. 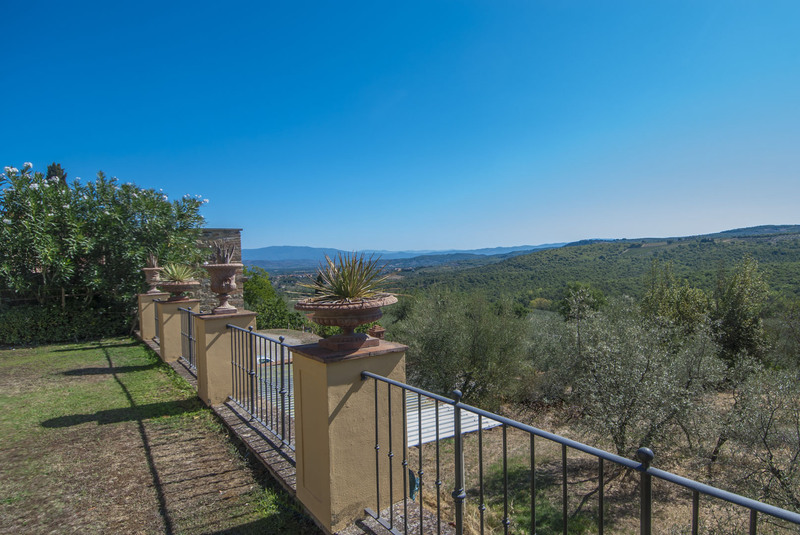 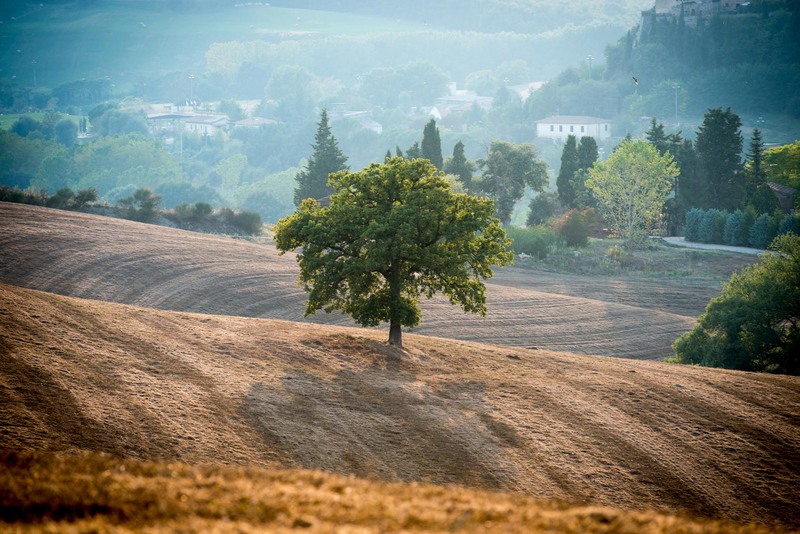 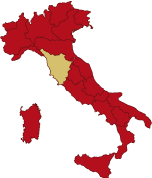 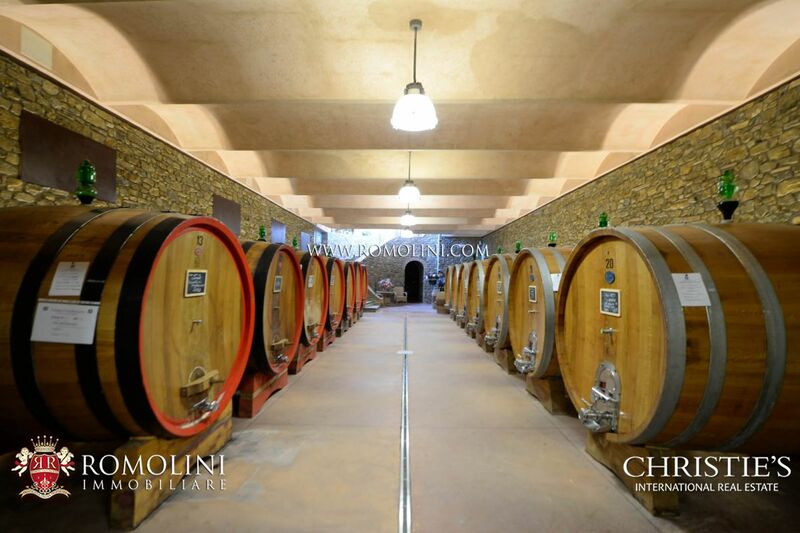 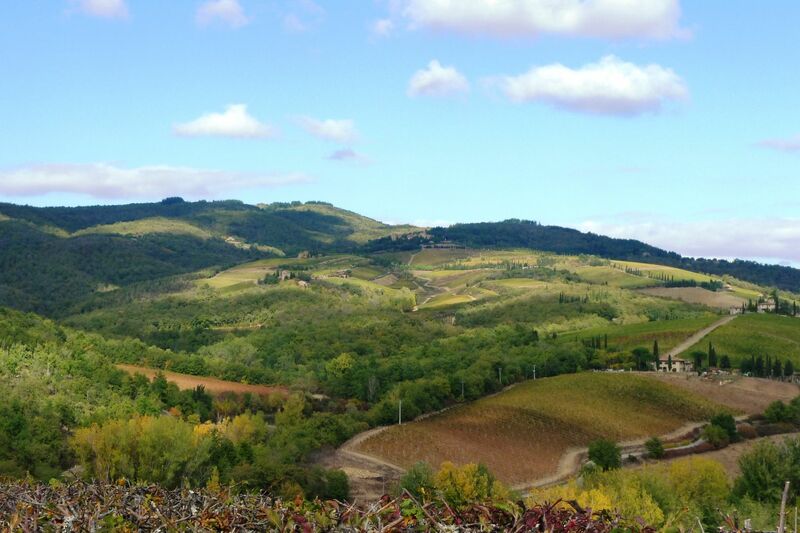 Easily reached via the municipal road network and close to a town with all the services (4km; 5’), the estate grants a quick access to the most interesting and renowned towns of Tuscany: Arezzo (32km; 40’), the medieval Siena (38km; 45’), the Renaissant Firenze (58km; 1h), the two wine towns of Montepulciano (58km; 1h) and Montalcino (69km; 1h 10’), Colle Val d’Elsa (62km; 55’), the papal Pienza (64km; 1h 5’) and the turreted San Gimignano (85km; 1h 20’). 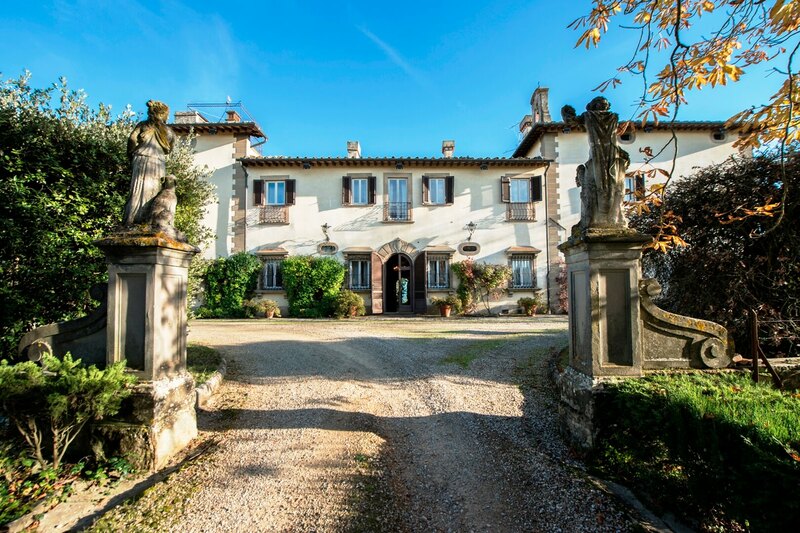 The most useful and comfortable airports to reach the property are Firenze Peretola (78km; 1h), Perugia Sant’Egidio (111km; 1h 25’), Pisa Galilei (139km; 1h 40’), Bologna Marconi (163km; 2h), Roma Ciampino (239km; 2h 45’) and Roma Fiumicino (254km; 2h 35’). 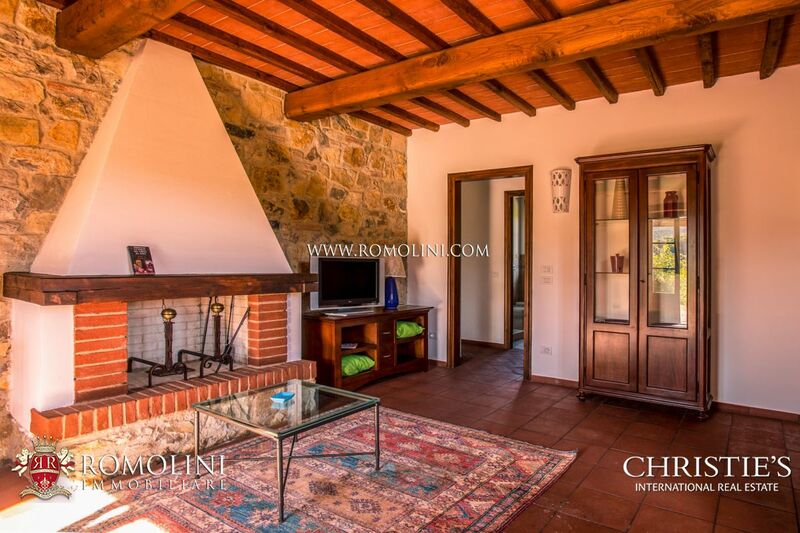 - First floor: two double bedrooms and two bathrooms. 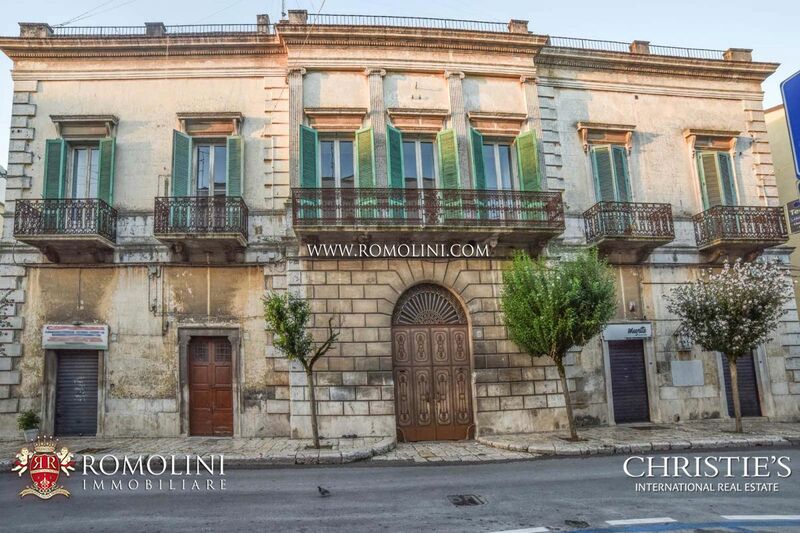 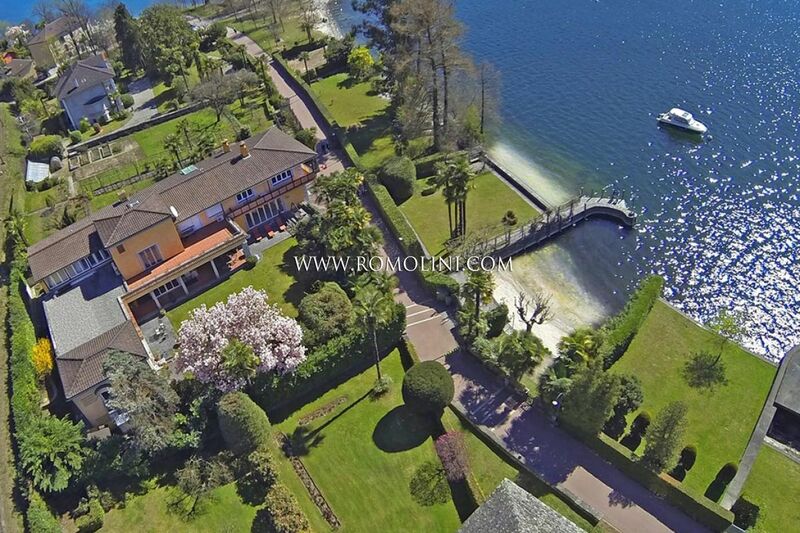 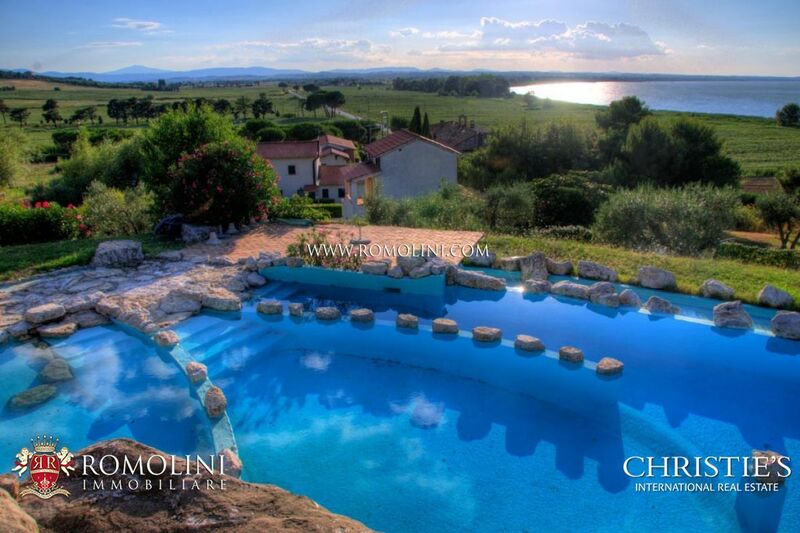 - First floor: closet and three double bedrooms with en-suite bathrooms. 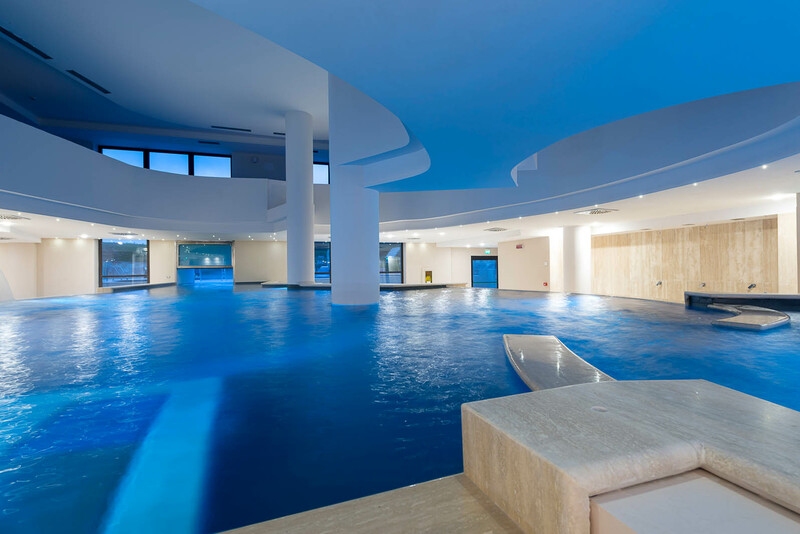 - Second floors: four lofts. 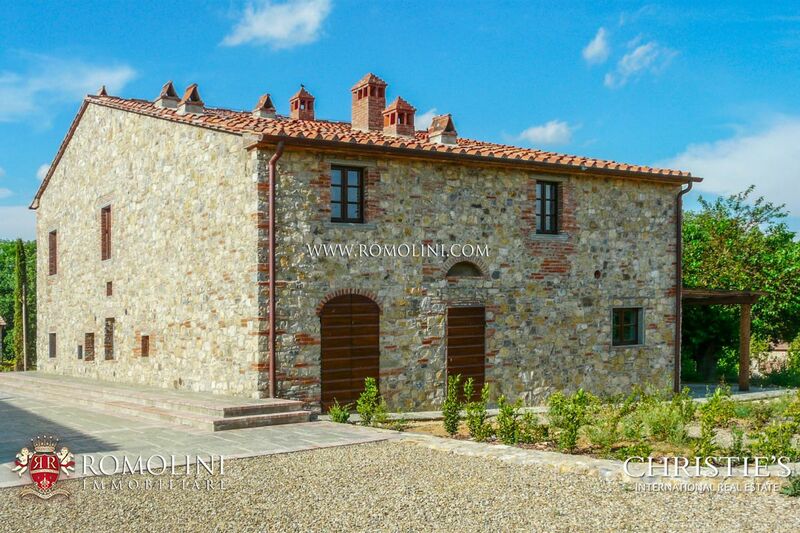 - First floor: two bedrooms with en-suite bathroom. 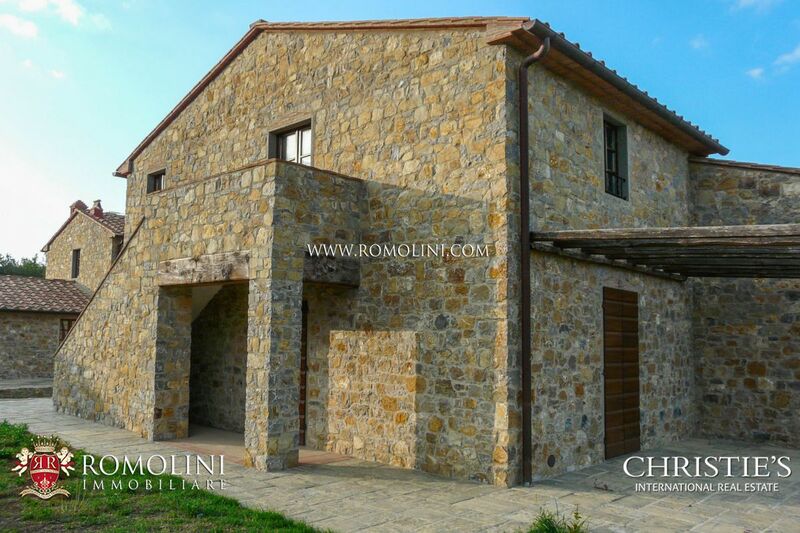 - First floor: two double bedrooms with en-suite bathroom. 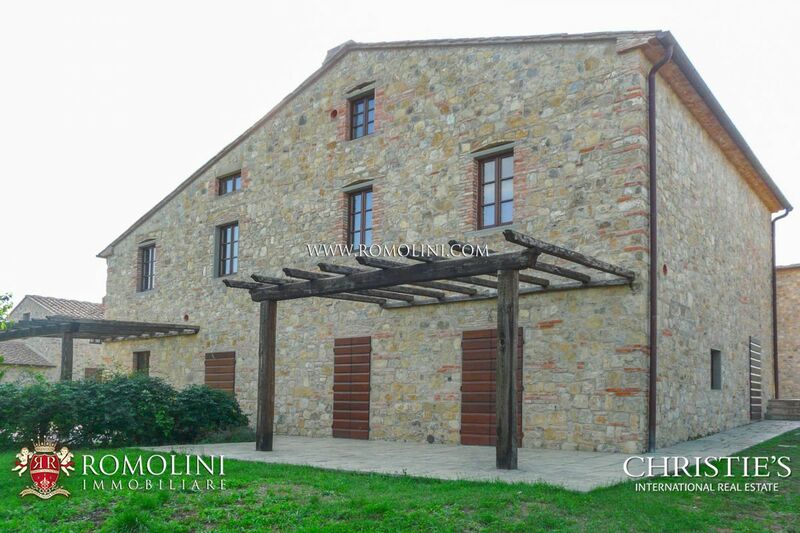 - First floor: two bedrooms with en-suite bathroom and closet. 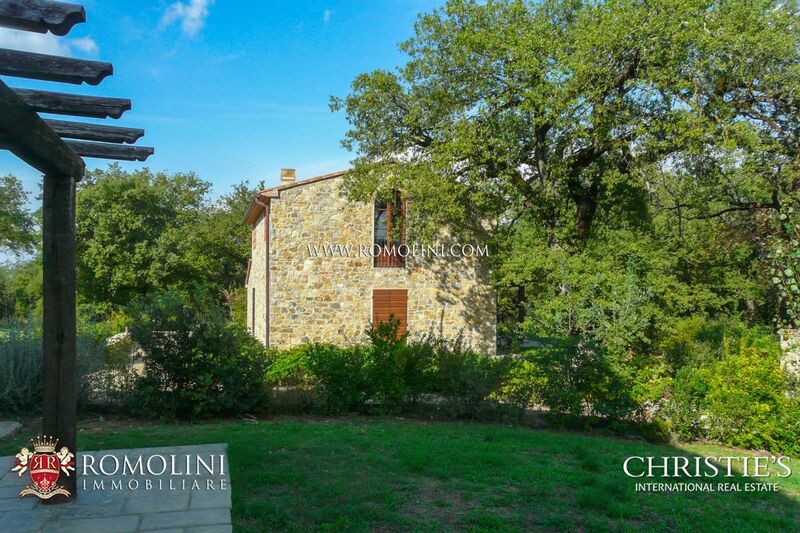 - First floor: closet and two bedrooms with en-suite bathroom. 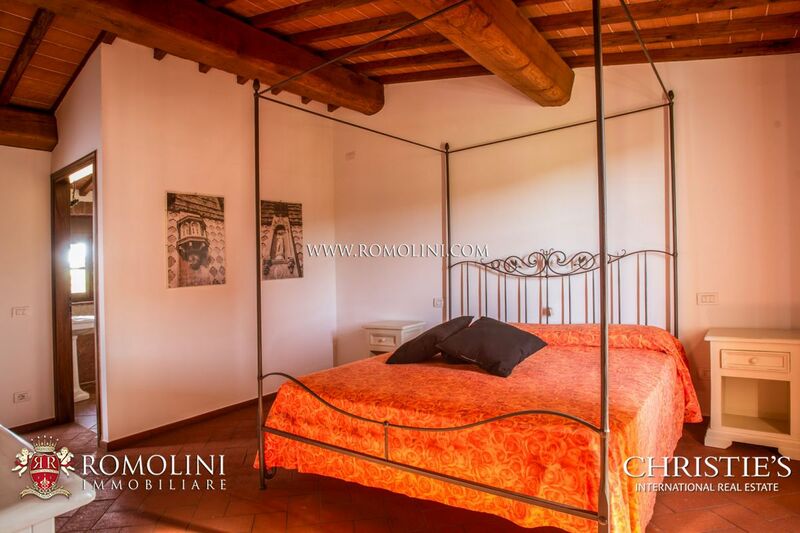 - First floor: bedroom with en-suite bathroom and closet. 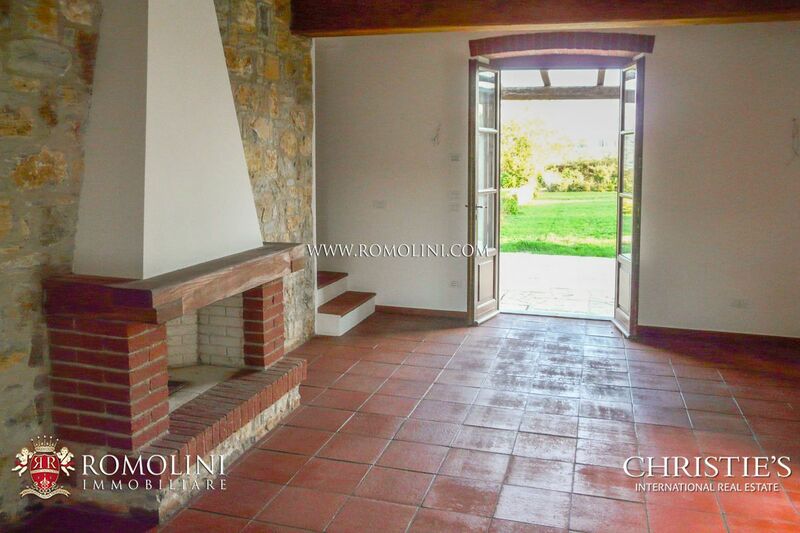 - First floor: bedroom with en-suite bathroom. 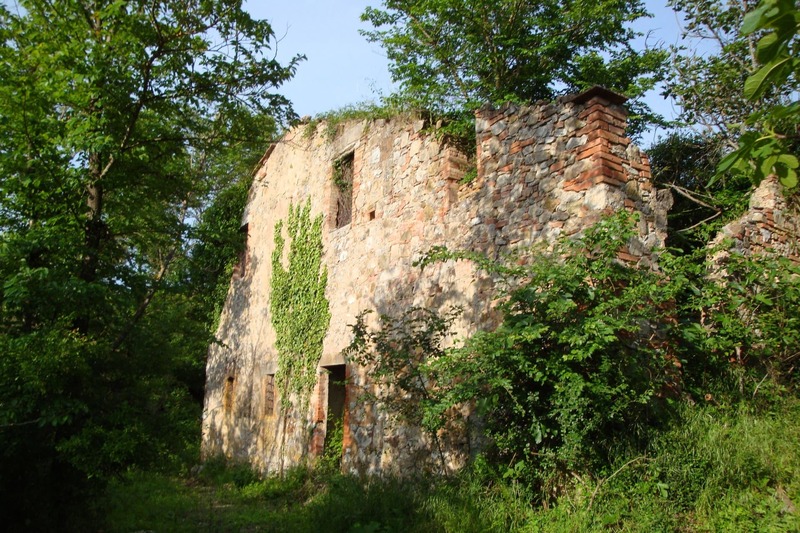 The hamlets needs some finishing works but are otherwise aesthetically and structurally perfect. 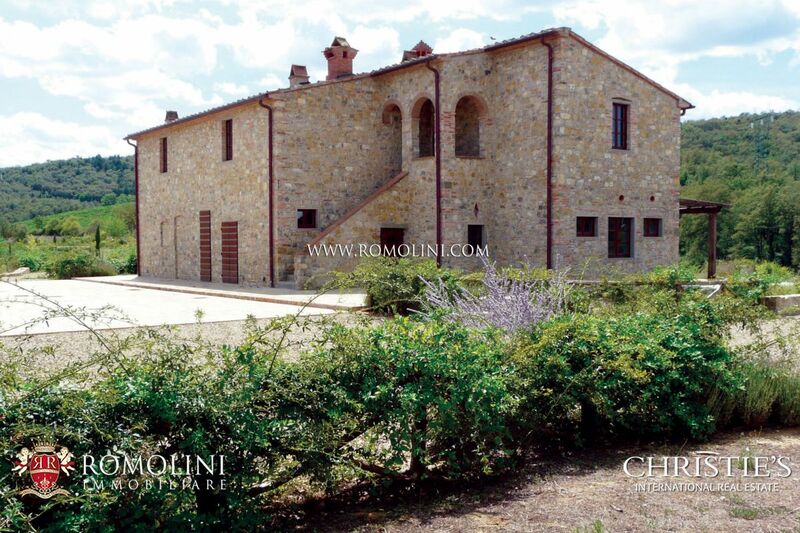 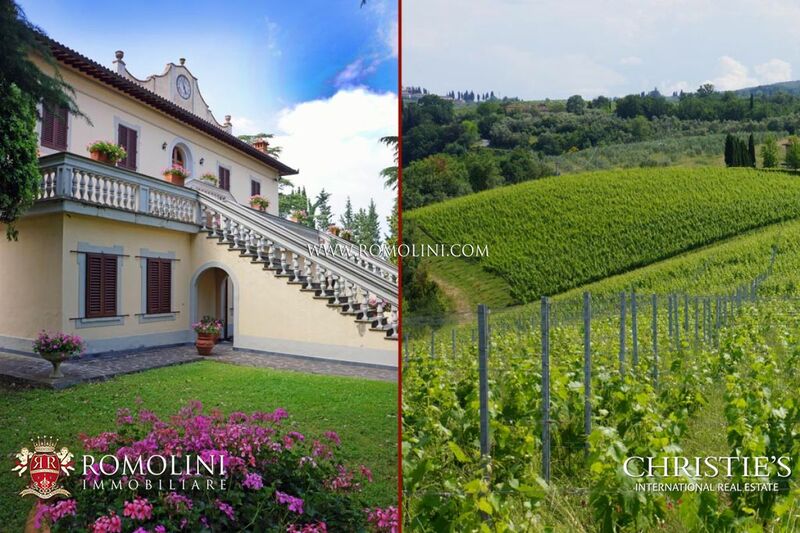 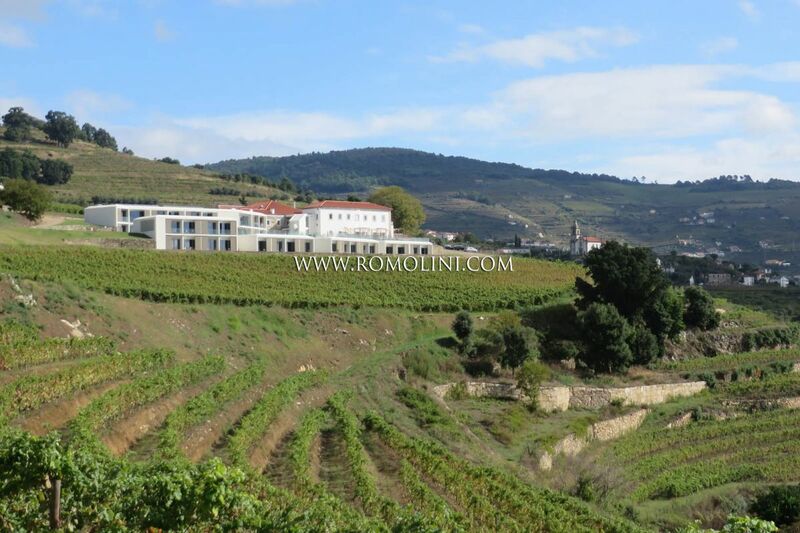 The estate covers roughly 5 hectares, mainly covered in gardens for the buildings of the Agriturismo. 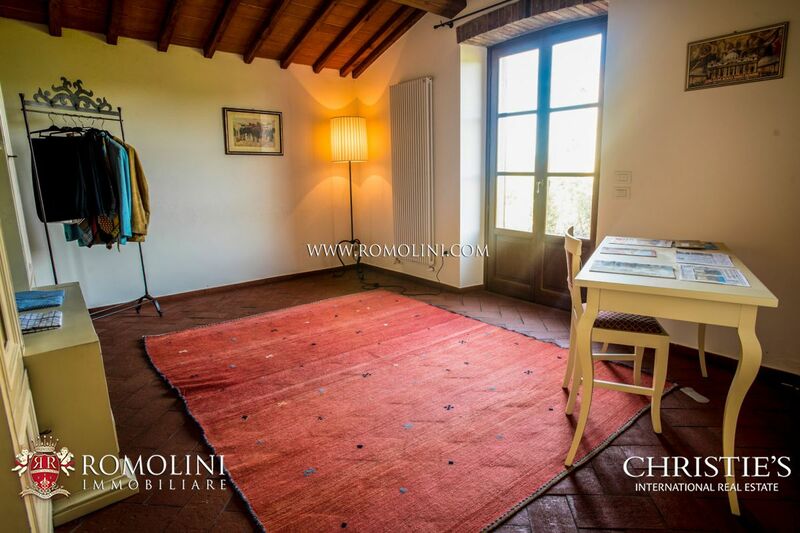 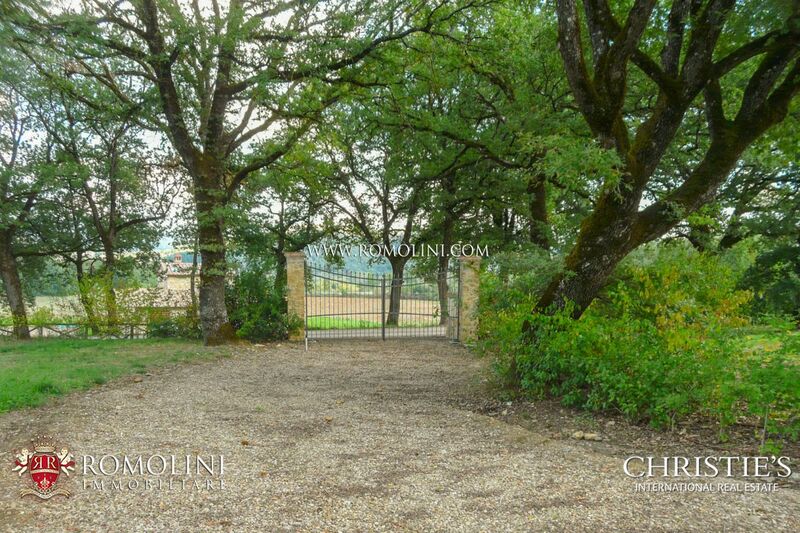 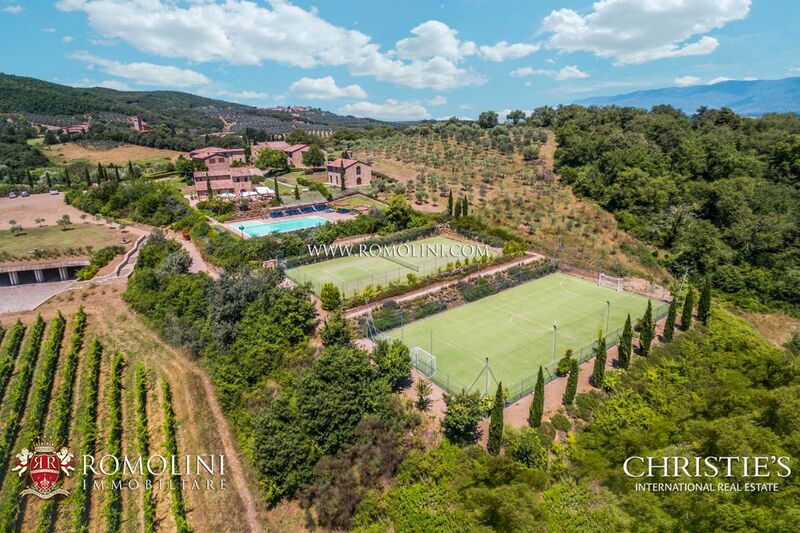 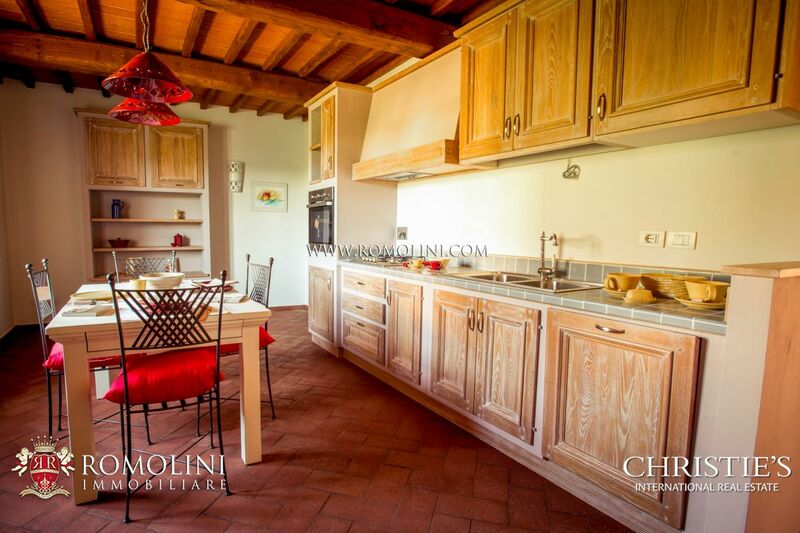 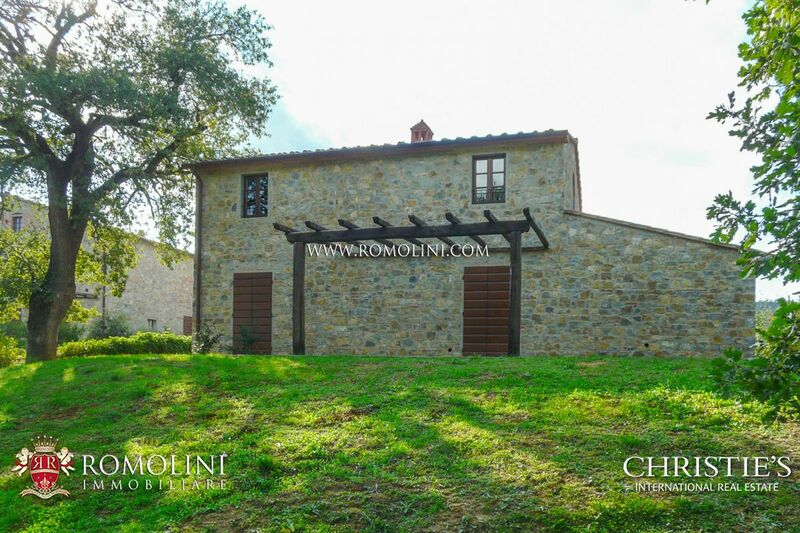 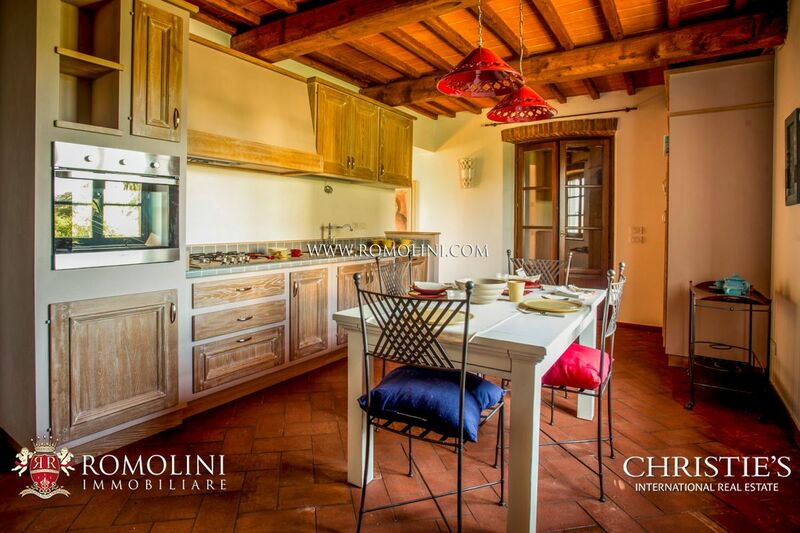 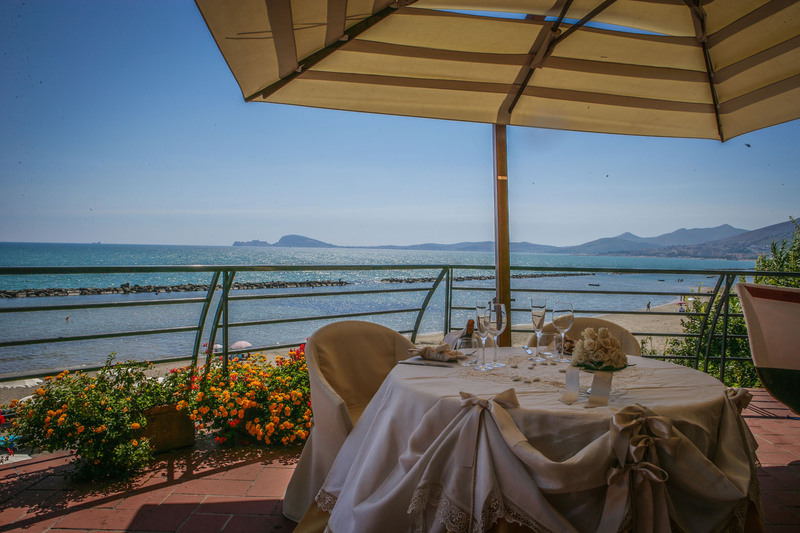 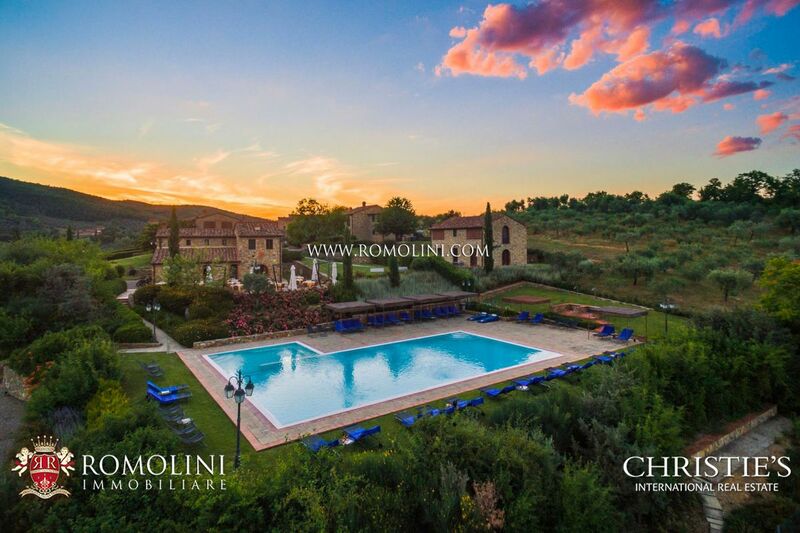 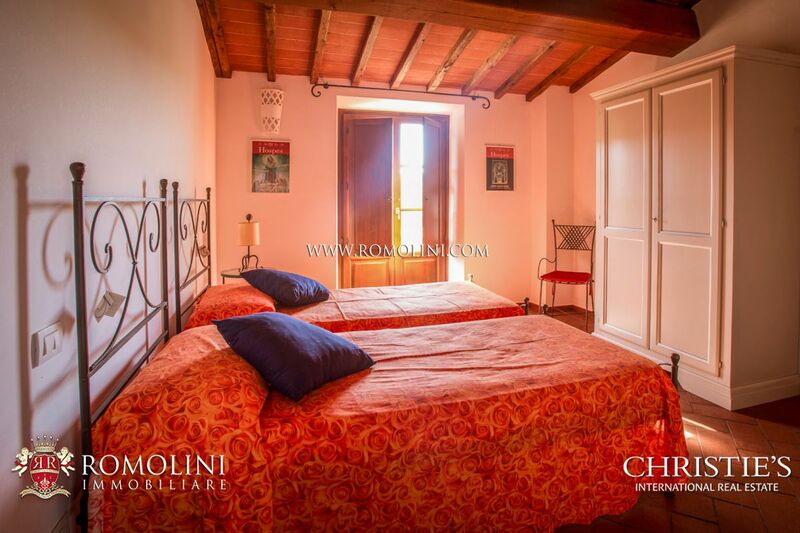 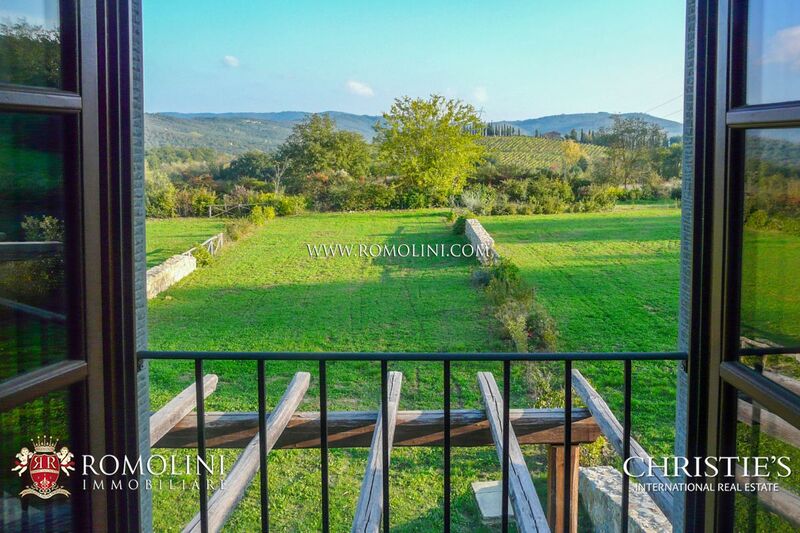 Not far from the two hamlets are located two pools, respectively 12 x 6 m and 14 x 7 m.
The property, thanks to its ample size, is an excellent starting point for an Agriturismo. 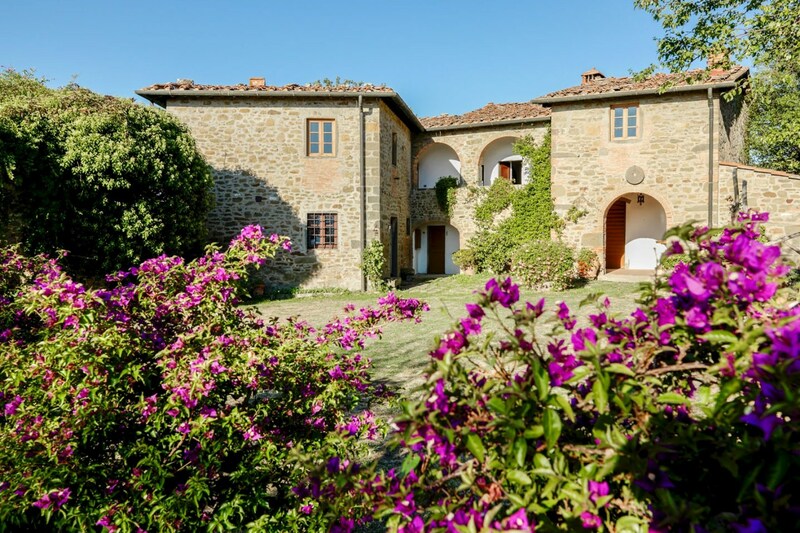 The hamlets need some finishing works and, once completed, would grant a total of 47 bedrooms in the estate for a potential capacity of 94 guests.